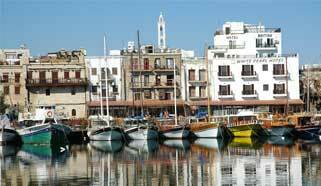 Kyrenia is probably the most popular city in North Cyprus. 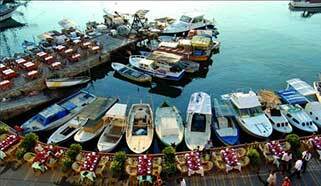 It is a coastal city with a beautiful harbor, cafes, restaurants and hotels. Also, it is an exciting blend of history, culture and nature. It is a sightseers paradise with attractions such as the mountain-top castles of Buffavento, St. Hilarion, etc., the Bellapais Monastery, Alagadi beach (Turtle beach), etc. It is definitely holidaymaker’s delight..There are different types of hotels in Kyrenia ranging from 5 star resorts to 2 star city hotels. It is a wonderful city to have a vacation by yourself or with family and friends. 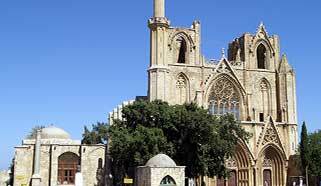 Famagusta is a city of rich history and culture. Its landscape is dotted with several historical sites and wonders. According to legend, it was once nicknamed "the city of 365 churches" because it had a lot of churches within its confines. It is also known for its rich history, culture, beaches and vibrant nightlife. It is perfect for a quiet, relaxing and enriching holiday in North Cyprus. It is also home to different ranges and types of hotels and resorts. 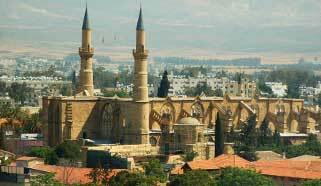 Nicosia is the capital city of North Cyprus. It is a business and tourism hub where you can find all sorts of interesting sources of entertainment such as its historical sites for the history and culture buffs, its restaurants and cafes for the food connoisseurs, its rich and exciting nightlife, etc. 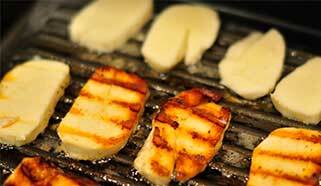 There are several luxury and budget hotels in Nicosia that offer their guests exquisite service. 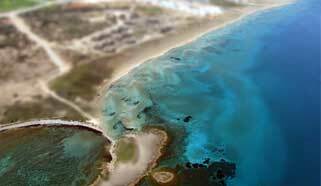 Karpaz is the easternmost part of the island of Cyprus. 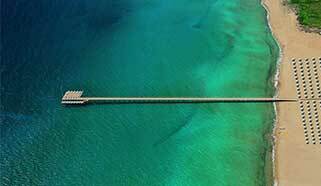 It is the least densely populated tourist beach area of North Cyprus. 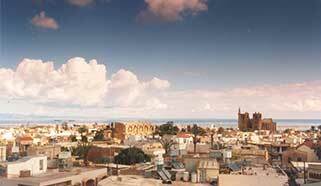 It is famous for its sandy and rocky beaches, its subterranean water reservoirs and fishing. 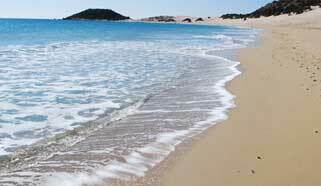 Also, Karpaz has been acknowledged as one of the least polluted beach destinations in Europe. Karpaz has some exotic hotels which makes it one of the ideal destinations for a perfect holiday in North Cyprus. 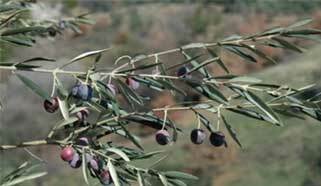 Yeni (New) Iskele is also known by its Greek name of Trikomo. It is a quaint and picturesque village with landmarks such as the 15th century church of St. James (Ayio Iakovas). 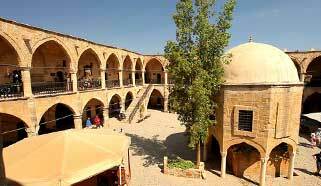 The Icon museum is another popular attraction in Iskele. 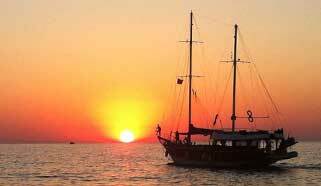 Iskele is a rich in culture, history, hospitality and art. Ultimately, it is an important tourist center. Iskele has several classes of interesting and comfortable hotels making is a wonderful spot to explore during your North Cyprus holiday. Bafra is home to two of the best hotels in the whole of North Cyprus. It is a region with great beaches and sunsets. Perfect for a great holiday in North Cyprus. Please have a look at our selection of Bafra hotels, make a reservation and prepare to have a wonderful holiday in North Cyprus. Techno Travel UK has the largest inventory of choice Cyprus hotels. We have categorised our selection of Cyprus hotels according to the regions where they are situated to make it easier for our customers to choose the right hotel during their stay in North Cyprus. Each region has its own particular charms and thrills for example: Karpaz is known for its hotels situated along its magnificent golden beaches, Kyrenia is known for its numerous five star hotels which give you access to the renown Kyrenia harbour and from which you can stage your hiking trips to St. Hilarion castle, Famagusta is known for its hotels which accomodate you while you enjoy the city's vibrant nightlife and numerous historical monuments, Nicosia is known for its excellent hotels which provide you with easy access to monuments such as the Selimiye mosque while Bafra and Iskele are known for beaches, churches and mosques respectively. Please have a look at what we have to offer, make a reservation and we look forward to helping you have the best holiday ever. 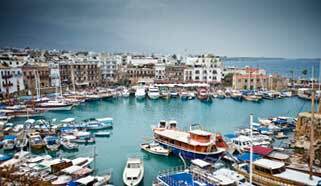 Cyprus Hotels And Package Holidays - 1999-2019 © Techno Travel UK | All Rights Reserved.